Body and mind–are they one and the same? May sound unimportant but therein lies the question: Is there a non-physical component in human beings? Or are we just totally physical flesh and bone? Great controversy: Are the brain, heart and gut, which are physical parts of the body, mind? Is it in these organs that the cognitive thinking process takes place? Body and mind, what is the relationship between them? We use the word ‘cognitive’ to refer to ‘mental’ activities. Where does the ‘mental’ take place? 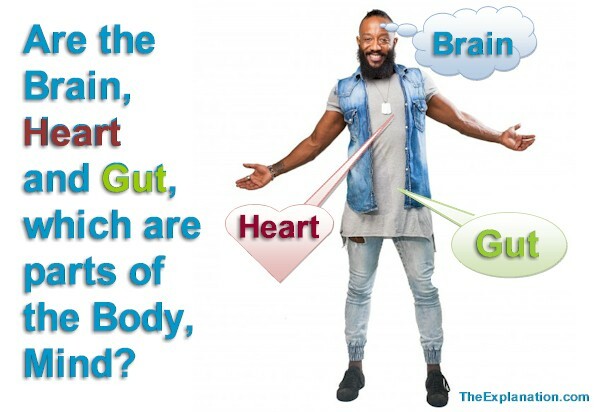 Is it solely in the brain, heart and gut? Each has incredibly inter-connected neurons–is this vast network together body and mind? I have audited the way we do, or don’t, take care of our bodies. The pros and cons of how we treat what genetics has bequeathed to us for a certain number of years. Whether it’s our food and liquid intake or what we subject our bodies to, the question for the audit is: As we progress into the 21st century, as a society, are we subjecting our bodies to improved or detrimental treatment. It is not just an individual evaluation but a global overview of this audit as we are doing with the rest of the analyses we’re broaching throughout this book. But these last 8 chapters of Audit of the Universe (7-14) are more than just a ‘state of affairs’ evaluation. Starting with the last chapter Human Life I need to help us define more specifically what each component in the Universe is. Remember, our major question is: How can we bring peace and prosperity to Earth? To answer this we need to zero in on who and/or what on Earth can contribute to not only answering this question but especially who can engender such a state of bliss. In chapter 7 on Human Life we saw that philosophers, performing an analysis, reached the following resume about what defines humankind: Civilization, language, abstract thought, morals, ethics, perfectability, technology, the ability to analyze. I added this conclusion to this list of human characteristics: When considered together, they represent different facets of the same human gem: cognitive capacity beyond the physical mechanics of the brain. All animals have bodies and brains, and are capable of phenomenal prowesses, but only humans have a mind. Only humankind–with body and mind–has civilization, language, abstract thought, morals, ethics, perfectability, technology, the ability to analyze. Now for a confession. I’m not an expert by any means in any of the areas I elaborated in Inventory or Audit. These are what I’d call ‘scientific’ explanations. I’ve simply synthesized material that I’ve studied, read and been helped with. I’ve given you the references to verify the affirmations. Frankly my intention is not to give you every last detail about: space, atmosphere, water, land, flora … So many other experts do excellent in-depth studies, let them give you the nuts-and-bolts, the macro and micro of these interesting domains. The goal of The Explanation is to show you how ALL these subjects intermingle to form coherent completeness. To reveal how each aspect of the Universe is an essential, required, even obligatory, piece in a perfectly fitted puzzle. I don’t expect you to understand what this is all about. However I have color coded this because I do want you to see there’s a relationship between the body and the mind. This statement says that the body is involved in mental (mind) processes. You need to know that today there are those who believe and clearly state, with their proof that ALL mental activity is initiated by and remains solely within the BODY. The brain, neural system, as well as the ‘heart’ and ‘gut’ (feelings) participate in these mental processes. The body is the beginning and end of the mental process. My understanding of what Guy Claxton is saying in his book Intelligence in the Flesh is, everything to do with the mental is totally included in the body. Everything else is non-existent. Elements like ‘mind’, ‘unconscious’, ‘gods’ (I will add God because if there are no gods, there is also no God) and ‘spirits’ (Claxton might be referring to ghosts, extra-sensory phenomena etc. but I must add here two other spirits: the spirit in man and the Holy Spirit which I will expound on in Origin of the Universe but many of you are aware of these spirits) can simply be thrown out and considered hogwash. And the second focusing in on ‘thought’ which is an essential part of the mental process. What is ‘thinking’? ‘Thought refers to ideas or arrangements of ideas that are the result of the process of thinking. Though thinking is an activity considered essential to humanity, there is no consensus as to how it is defined or understood. Cognition involves ‘thinking’ and it is studied by various branches of cognitive science of which ’embodied cognition,’ embraced by Claxton, is one (see his quote above). All the above branches of science and I see they’ve added philosophy to the list have come to NO consensus. Not only is there no conclusion but there is downright opposition, contradiction and confusion among scientists and philosophers about what and where cognition is. You need to be very careful with affirmative statements about the extent of the body, brain, heart and gut when it comes to mental and mind activities. Obviously there’s an involvement with the body. But the study of the cognitive, which some say is the last, yet foremost, frontier of discovery goes far beyond scanners and electron microscopes–observation and measuring. I would like to leave this section about body and mind with a point for you to think about: Where, in humans, is imagination located? Can that be observed and quantified? That is the role of science. What about Eureka moments, ideas and solutions–can we show what part of the body stores and originates them? We will get into a part of this piece of the puzzle in the next chapter about the brain although it really belongs to the mind. However, the full explanation will be forthcoming in Origin of the Universe when I will explain why each of us human beings has the body and mind we do and what their origin is. I will also explain to you why there is such a need for scientists to explain why ALL ASPECTS (body and mind) of a human being are being wrapped up SOLELY IN THEIR PHYSICAL BODY. I guarantee you, this is quite a story in itself–however, you’re going to have to be patient. I’d like to conclude this rather length post by focusing on our hands. They serve our every need. They are the instruments of our actions–human tools. Hands allow us to manipulate the world so that our wishes can be fulfilled. Hands, as part of human bodies, set us totally apart from animals. Gently wipe away tears, your own and those of a loved one. Grab a hammer and pound a nail in straight. Pack your clothes in a suitcase and then stack them in the trunk on a car. Wrap a fragile gift and tie a decorative bow. Peel a fruit, pluck a chicken, cut it up and turn it into a mouth-watering recipe. And a million other coordinated, dexterous, manipulative movements. 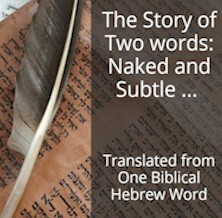 This ‘body part’ doesn’t get much thought, it’s often overlooked. If you want a deeper understanding of the effect of ‘hands’ on humans, especially nowadays with the switch of their use away from ‘manual’ activities to ‘key-punching’ activities, then I suggest you peruse Hands by Darian Leader. In Origin of the Universe I’ll discuss the relationship between the human mind and human hands – body and mind. I’d even say they go hand-in-hand. Here’s a treat for you, a video of Darci Lynn’s quarter-final performance on America’s Got Talent. For the sake of this blog post please focus on her left hand and see how she ‘manipulates’ Oscar. She literally transmits emotion to this chunk of tissue. She makes Oscar come alive by moving his hands perfectly in conjunction with his whole body, the music and the performance. You can also watch her right hand and see how she choreographs Oscar’s head and body for a real-life singing act. In Darci’s first audition Mel B said of the puppet Petunia, ‘I guess she’s just like you.’ Well, yes, because Darci is able to transmit that inner part of herself to a rag doll and make it act humanlike with her hands. I suggest you also watch the semi-finals and finals (which she won) and stay focused on her hands. I don’t know if she’s ambidextrous or not but the emotions she transmits to Petunia and Oscar through the movement of her hands (not to say her voice and ventriloquism talent) is nothing short of amazing. Hands and emotions – body and mind – in perfect sync. Hands set humankind apart from any and every other form of life. Since you read all the way to here… you liked it. Please use the Social Network links just below to share this excerpt of Inventory of the Universe, Body and Mind – Are the Brain, Heart and Gut–all Body Organs–the Mind?